I often get SystemOut.log files from customers or friends to help them analyzing a problem. Often it is complicated to find the right server and application which generates the real error, because most WebSphere Applications (like IBM Connections or Sametime) are installed on different Application Servers and Nodes. So you need to open multiple large files in your editor, scroll each to the needed timestamps and check the lines before for possible error messages. Klaus Bild showed on several conferences and in his blog the functionality of ELK, so I thought about using ELK too. I started to build a virtual machine with ELK Stack (Elasticsearch, Logstash & Kibana) and imported my local logs and logs i got mailed. This way is cool to analyze your environment, but adding just some SystemOut.logs from outside is not the best way. It’s hard to remove this stuff after analyzing from a ELK instance. Then I found a tutorial to install ELK with Docker, there is even a great Part 2 of this post, which helps us installing an ELK Cluster. Just follow this blog posts, install Docker and Docker-compose. It’s really fast deployed. In my case i do not use flocker, it’s enough to use a local data container for the elasticsearch data. Why do I use Docker instead of a virtual machine? It’s super easy to just drop the data container and begin with an empty database. 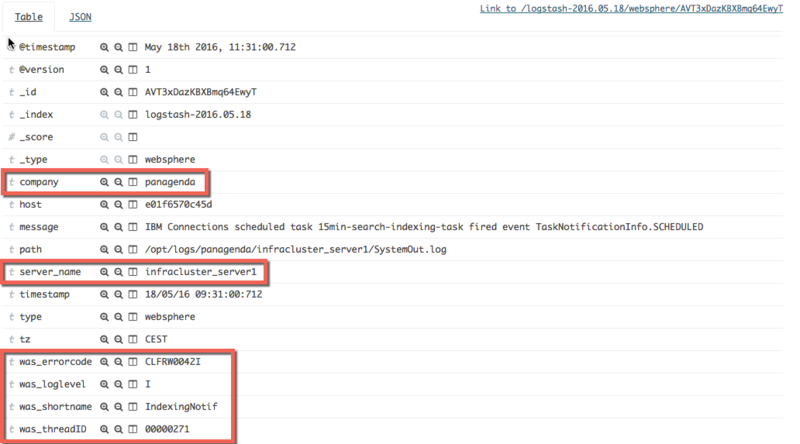 So you see that elasticsearch is using a data-container for /usr/share/elasticsearch/data and logstash reads the configuration from a local folder ./conf.d and we map an additional local folder logs to /opt/logs. This log folder will be used to copy SystemOut.logs for analyzation to it. I splitted my logstash configuration to multiple files, but you can copy them together if you want. You can see that i added // in front of the log file. This will be used to tag the log messages with company and servername, so i can search and filter on basis of these tags. So i assume that the first folder after /opt/logs is the company (or test/production) and the second folder will be the servername. I remove the timezone information of the timestamp, so if you need to know the local time of your system, you should adjust this (had problems with CEST and so on, so i just removed it). I tried to get the most informations i can, but the filter is not complete until now, some message do not provide us the right error_code, but i think it is a good starting point. You can use the same filter for SystemOut.logs sent through the network, or with other ELK tools, then the company and server information is not tagged. 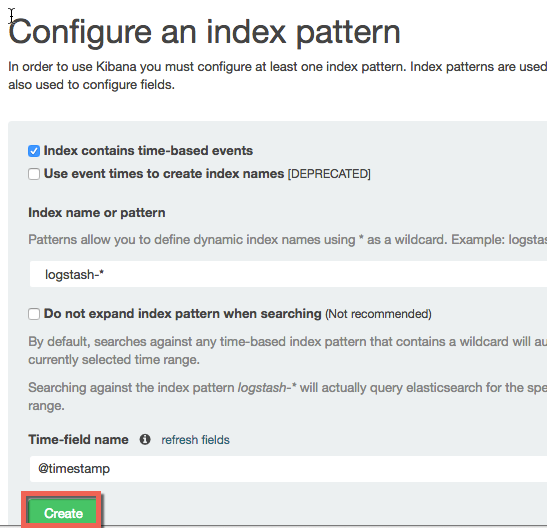 Just the code that logstash forwards the log messages to elasticsearch with the additional tags and updated timestamps. Open http://localhost:5601 in your browser and you can start using kibana with your logs. And after this you can create the containers again. So now we can start custimizing the view filter for event type, error code and so on. Have fun to start analyzing with ELK.